‘Our heritage.’ It is an interesting pair of words that immediately call up visions of and feelings for a past era, perhaps the cliché ‘one hundred years’ ago or older. Yet the precise scope of time that ‘heritage’ actually refers to is vaguely uncertain. The emotion seems to play a more significant role than the fact. Still, there is something poetically alluring in the words that recall the romance of other times with a certain nostalgia - remembrance: “Ah! Those were the days.” There is a quality of ignorant arrogance in the experience that allows the deprivations and struggles of other times to be overlooked from the safe comfort of our era. This self-centred review places an emphasis to on the aesthetics of the other age as seen from our time, because this past is usually formalised for us most commonly in old buildings in our towns and cities, seen as part of a rich tapestry. It is the classical problem with art in history. Traditional art will never be properly understood until we come to know it in the way that it was experienced in its time - in its complete cultural context, not ours (see Ananda Coomaraswamy in http://voussoirs.blogspot.com.au/2011/07/islam.html). 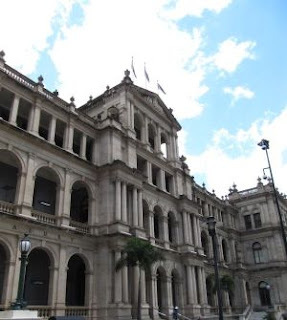 Likewise, heritage will never be fully understood until we know it in its full cultural milieu - ‘warts and all.’ Consider knowing about the treadmill in Brisbane, and hearing the phantom screams when one is now looking admiringly at this historic precinct today - see http://voussoirs.blogspot.com.au/2012/04/conviction.html What is the difference between knowing and not knowing? 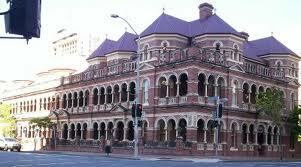 In Australia, images of our convict/colonial past come to mind as picturesque ‘heritage’ buildings - the grand formal government structures and the palatial homes of the gentry - as well as the quaint forms of the local cottages with their simple, naïve decoration. There is an alluring certainty about how the remnants of another time can ‘talk’ to us. The circumstance is not unlike admiring the sounds of another tongue when nothing is known about the message being transferred; or perhaps appreciating music, with words sung in a foreign language. The attraction has to do, it seems, not only with the relationship of these other times with ours, but also with time itself - how these pieces have managed to remain for us to be experienced today even with all of our prior neglect, and conceivably, our disparagement. Fashion makes harsh assertions on immediate pasts. These ‘heritage’ buildings have survived in spite of, rather than because of any special attention, other than perhaps, some innate love and care that these pieces - these relics - may have been given by others in their time. Somehow, somewhere, someone has nurtured them. Do we feel this devotion when we see these things? 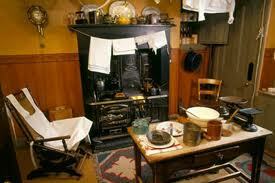 Miss Toward’s nineteenth century tenement house apartment in Glasgow - complete in every detail even to this day - shows how love and care - everyday intimacy - can survive. Heritage architects work hard at their research and with their projects of restoration to allow these pasts to be present today. The challenge is transparent when it has its own real roots in time, but things change when ‘heritage’ takes on a more intellectual stance. The article by Katharine Feeney in The Brisbane Times (see http://voussoirs.blogspot.com.au/2012/06/brutal-charm.html) raises the issues of what is heritage, and when. While it might be easy to accept that one hundred years ago is heritage, is fifty years ago heritage? Is twenty years ago heritage? Is yesterday heritage? Is today the heritage of the future? Is there such a thing as future pasts? Do we have a role in deciding the heritage of any future? Will it have any meaning? I can recall the project in the sixties - a new university development that became the talk of the world. 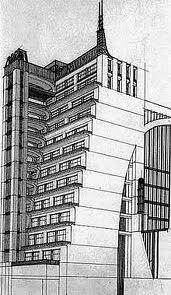 It had the futuristic image of an Antonio Sant'Elia drawing, but this was a real building - a complex institution shaped as a town or city. After the first stage was completed, the original working sketch for the scheme - on a very large piece of detail paper - was found rolled up in the office. It was realised that this exploratory drawing would make a wonderful display in the foyer - to reveal the thought as work: the creative process made manifest. So the sketch was presented to the client who had it mounted, framed and installed. It is indeed a wonderful drawing somewhat like the image that illustrates the paths of cyclones off the Queensland coast over the years (see http://voussoirs.blogspot.com.au/2012/05/disaster-management-plan.html). It was naïve and innocent, careless about its beauty, but very beautiful because of this. It was a true palimpsest, with layer on layer of lines as thoughts seeking their own sense of being in their revelation that became realised in the iconic off-form stepping and flowing concrete masses of the institution. The idea was a great success. What happened after this was that this firm became self-conscious about all of its preliminary sketches, with the exclamation being made during the early periods of pondering on what the design wanted to be, frequently being “This will be the one we will present to the client.” Instead of the raw innocence of the sketch that had no ambition other than aiding thought and determining the best resolution of an idea, the sketches became contrived ‘arty-facts’ that looked beautiful, but had lost their inner raison d’etre. 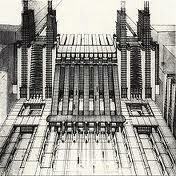 They were being considered and produced as art works that looked like working sketches. The careless meanderings seeking the presence of integrity now had alternative intentions - to impress, to look good on the wall, in a frame. I was reminded of this circumstance when reading the statement in the Feeney article on brand new buildings becoming the heritage of tomorrow - ‘the new ABC headquarters at South Bank should be protected as an example of excellent contemporary design.’ This is like heritage being predicted - as if it could be. We talk of heritage boldly believing that it has to do with architecture alone, but it is far more complex than this. 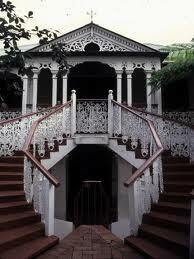 Heritage is a general past - other times from which we have developed; other eras that hold our roots. There is a broad intimacy here that we so easily ignore in favour of our own casual interpretations. ‘Heritage’ is not just building fabric, even though we find this aspect of it easy to grasp. Even so, ‘heritage’ as buildings with true age, has its own naïve coming into being, like the first master sketch for the new university. Subsequent conceptions of what might be heritage for tomorrow, take on a whole new ambition. Prediction of possibilities becomes such that heritage, like the later sketches, is self-consciously created. If this relates to, say, some past thirty years or so, then there is some distance that makes things a little less brash; but saying that a building that has only just been occupied for a few months is an example of its time and is the heritage of the future - and should be kept, perhaps even un-renovated forever? - seems absurd. This intellectual position not only guesses that the building has relevance - well, it must be of its time, mustn’t it? 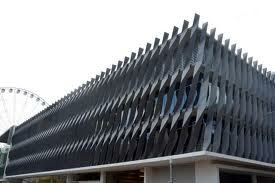 - it is also presupposing what time and others might do with this building fabric. Who really knows if it ‘good design’? I walked past the building being referred to just the other day and considered it, well, as a first impression, somewhat mediocre. It appeared to me to be Corbusier’s 1914-1915 Dom-ino slab and column system, with bland glass infill panels shrouded with geometrically interesting sun shading, complete with a bold corner box marking entrance. Is the proposition that this is an example - or will be - of how we approached our building design of today? Surely not, other than in this particular case? Perhaps this argument holds much the same sense, otr lack of it, as that categorisation that labels Brisbane’s ‘brutalist’ buildings – the George Street Government complex by Lund Hutton Ryan Morton (by the late John Morton); maybe the Executive Building office tower ( by Conrad and Gargett); and QPAC and other works (by Robin Gibson). These projects are not what I would call ‘Brutalist.’ Rayner Banham gave this wonderful label – Brutalism - to the work of the British architects in the 1960’s by writing a book on it: The New Brutalism (1966). The early Smithson’s works and those of James Stirling were Brutlaist - raw brick and rough, bold concrete – inspired by Corb’s later works. The Brisbane work - especially that of Robin Gibson - is more, well, ‘managed.’ John Morton’s building has every square millimetre covered in fine pebbles. This was not apparently his choice, but the original concrete was never rough or rudely raw. Mr. Gibson had one building - a shoe shop - where he used rough concrete that could be identified as being similar to the finishes of Brutalism, but his work has more to do with the International style than anything else, like John Morton’s. These projects may have an unfashionable, unattractive quality about them today that makes the ‘brutalist’ label appear appropriate - as if self-consciously heavy-handed - but it has little to do with this short period in the 60’s that was inspired by things rough, common and brash. Mr. Gibson and Mr. Morton liked things smart and slick - the antithesis of things brutal as Banham identified them. Their interiors make this obvious. Predicting heritage today seems as futile as labelling works inappropriately. When does one stop? Where? Does one grab sketches off the board to justify tomorrow’s heritage: to get is as is/was being made? There is a nonsense here that makes one ask: are ‘heritage’ architects running out of ‘heritage’ things to research/identify? Is the ‘story’ of any ‘tapestry’ - whatever this might really mean - really ours to tell? Anticipating heritage is a little like Andy Warhol’s astonishing desire to see everything as having a relevance, an importance - in the same way as Miss Toward did. It is commonly known as ‘hoarding.’ Will we end up wanting everything to be considered as being important to a future that we might never know? There is the same arrogance here as that which looks on the past with our ‘aesthetic’ or ‘intellectual’ eye. Australia is a young country and lacks historical depth. Cook mapped a portion of the country in 1770. Today, June 2012, makes this time difference only a period of less than 250 years. This is not Europe where buildings of over 1000 years of age can still be entered, indeed, lived in, even though we might like it to be. One can see the circumstance where there could be a deficit of interesting heritage items, especially with our eagerness to demolish; but surely ‘heritage’ is best left to other generations that can put their test of time and experience on to what they consider to be their history. Self-consciously making heritage is interesting if you like to do it, but it is really a farce - the making of tomorrow’s future today. It holds a disturbing self-consciousness that manipulates intents in the same way as the later sketches of other projects did. We may be committed to things ‘heritage’ and mourn the loss of important things, but to define ‘heritage’ today is almost foolish. It is as though we have no trust in others to manage this ‘story’ by attempting to create and define the ‘tapestry’ of tomorrow today. Who should write this story? In any attempt to ‘keep a cross-section’ of the ‘recent past’ to ensure a certain ‘richness,’ we end up in the circular circumstance of controlling renovations and futures that may themselves be ‘heritage’ in other times. Are we making a false heritage by gauging the ‘value’ - making ‘sure that value isn’t lost forever’ in ‘some types or key buildings,’ even in ‘more complicated buildings or buildings with very ordinary uses;’ yes, even ‘unattractive’ buildings? The words all show some emotive, qualitative assessment that is of our time. It may be useful in determining what we think of our future ‘heritage,’ but it is a rude assumption that this might be so for other generations. We need to be more humble. Yes, we do need to identify the best we have and make some assessments over time, but this needs to be managed very carefully if our presence is not going to distort any future understanding of the past that is our present today. In this context, as an example, one can only lament that fact that the 1960’s Gleneagles complex at New Farm - that wonderful twin-tower development by the Buffalo Lodge for aged living in the inner city - has been approved to be redeveloped as slick apartments in spite of it being listed as being historically relevant by the Brisbane City Council - the approving body for the change. It is ironic. But this 1960’s development, more than most, presents us with a bold example of both social and building innovation that is no longer being matched by anything we do today. Sadly, even when we do mark things that we see as important, there is no will to maintain the fight to keep these. Such is life: such is ‘heritage.’ We can tell our story – and we should: ‘warts and all’ - but we must leave others to write theirs too. Indeed, they will. Let’s hope it is not a story about how we tried to distort the tapestry of their ‘false’ heritage. To examine the spirit and the theme of Neizvestny's work. To try to delimit the world of his imagination. I ask myself whether it is too soon to do this.